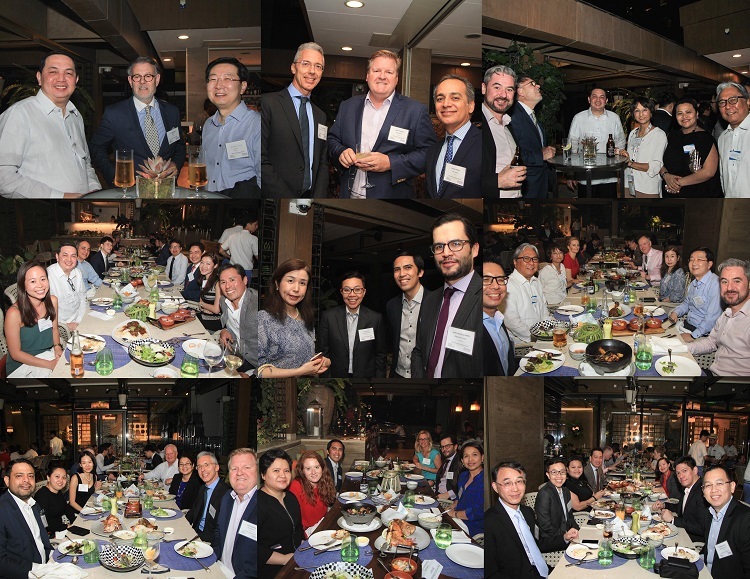 SyCip Salazar Hernandez & Gatmaitan hosted the World Services Group (WSG) 2018 Asia Pacific Regional Meeting last March 13-14, 2018. The meeting was attended by over 40 representatives from 22 member firms worldwide, including Argentina, Australia, Brazil, Cambodia, Colombia, Hong Kong, Indonesia, Italy, Japan, Jersey, Macau, Malaysia, New Zealand, Philippines, Poland, Russia, Singapore, South Korea, Sweden, Taiwan, and USA. SyCipLaw hosted welcome cocktails and dinner on the 13th at the Samba Restaurant, Shangri-La at The Fort. The half-day meeting took place on the 14th also at the Shangri-La at The Fort. The first panel discussion was on competition law and focused on concerns in M&A transactions. 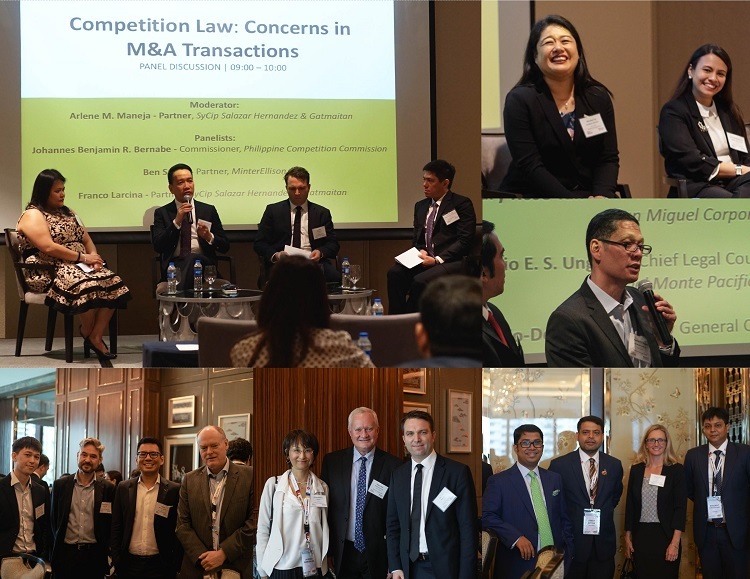 SyCipLaw’s Arlene M. Maneja moderated the panel composed of Philippine Competition Commission Commissioner Johannes Benjamin R. Bernabe, MinterEllison’s Ben Smith, and SyCipLaw’s Franco Aristotle G. Larcina. This was followed by a general counsel forum discussing what general counsel look for when they engage external legal and financial advisors. The forum, moderated by SyCipLaw’s Aaron Roi B. Riturban, was composed of San Miguel Corporation’s Mary Rose Tan, Del Monte Pacific Limited’s Antonio Eugenio Ungson, and Philippine Stock Exchange’s Lianne Gervasio-De La Paz. The meeting concluded with a presentation of WSG Regional Updates by MinterEllisonRuddWatts’s Robert Falvey, WSG global ambassador. SyCip Salazar Hernandez & Gatmaitan is the exclusive Philippine member firm of WSG. WSG is the globally recognized resource for professionals and their clients to receive the highest quality, value and service from legal, investment banking and accounting services. Visit www.worldservicesgroup.com for more information.